on my front porch looking in. When I look back at all I have done today, I really want to high five myself in the mirror. For serious. If waking up before 7 am doesn’t deserve a medal, then I don’t know what does. 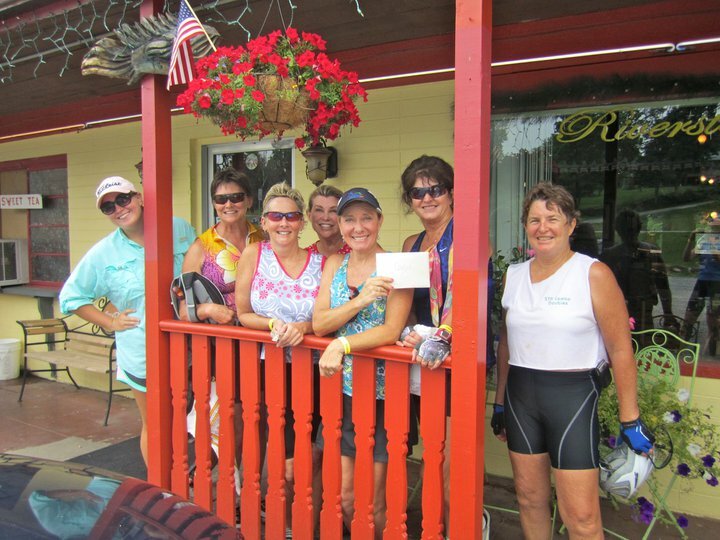 I met BFF to give her some stuff for her speech this morning, then came home to meet Missy my marathon coach and her biking buddies for breakfast. 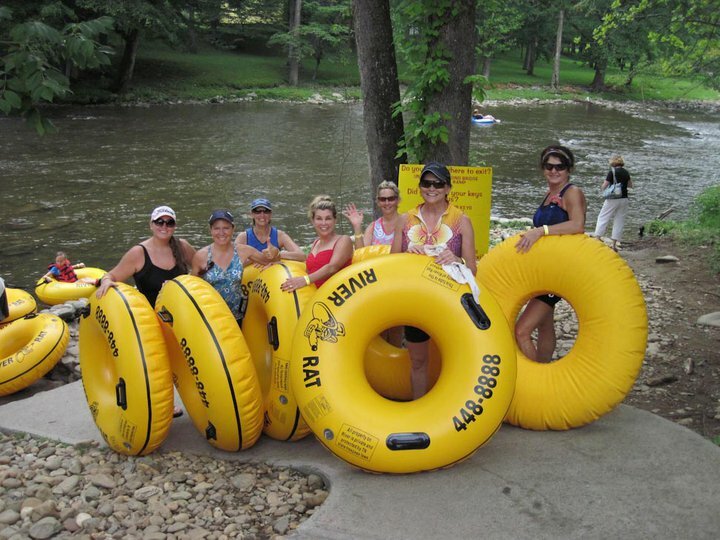 In celebration of a friend’s birthday, I took all seven women tubing. For most, it was their first time. 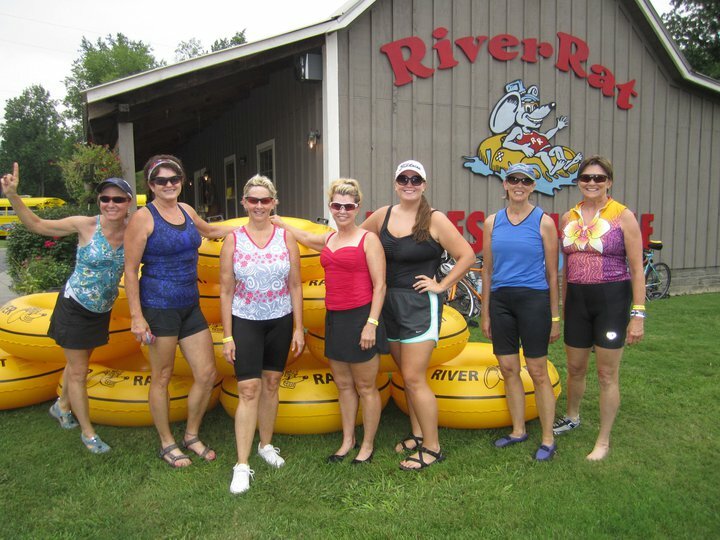 It was a bit chilly since the sun wasn’t out, but we still looked good and got an arm workout from paddling. My poor friend Ryan had to walk down with us to take the traditional group blog photo. Since they were in my neck of the woods, I had to show them how the locals do it. A few of the gals got out to go rock jumping with me and the deep bluffs we have at our river. I spent a good five minutes trying to convince Sharon Spezia to jump off. She is scared of heights and still climbed up and jumped off so props to that Go Girl. Olympics 2012. 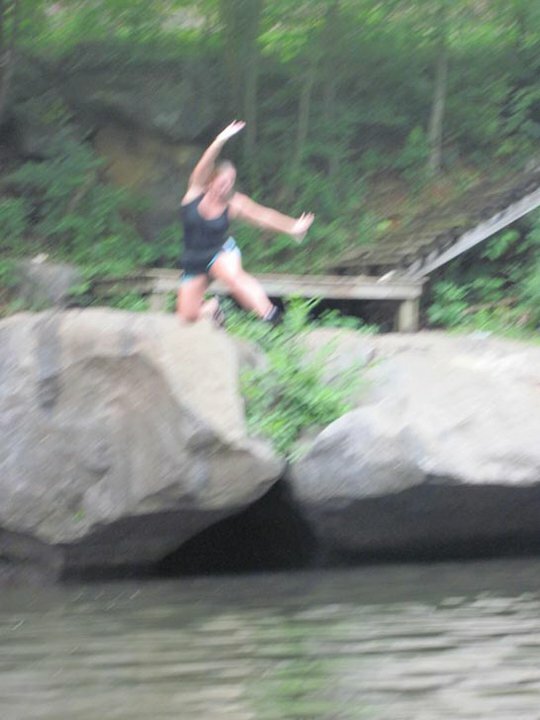 River jumping edition. ﻿After alllll this fun (and a quick nap), I met some girls from work in town to go healthy grocery shopping. 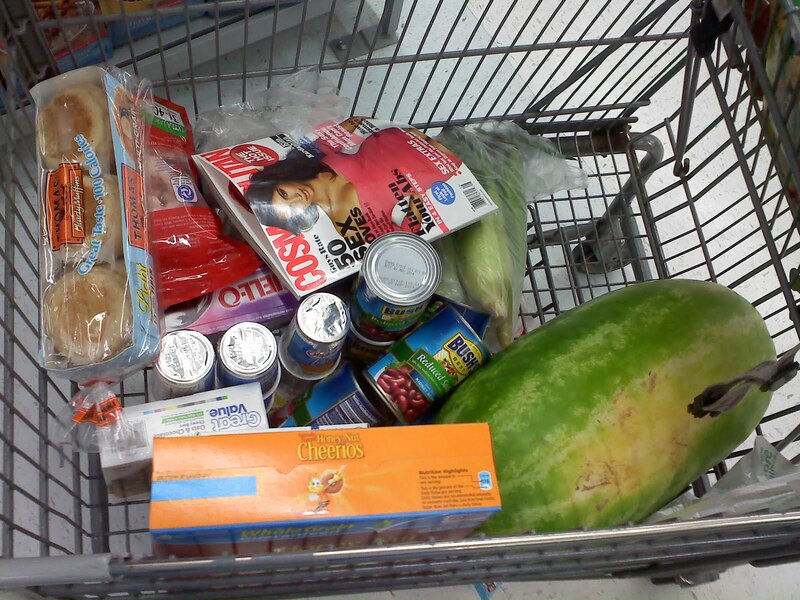 They are just beginning a fitness routine and trying to get healthier, so I guided them through the grocery store. I racked up on about two weeks worth of food, including the latest issue of Cosmo. Yeah. I’m cool. Kim Kardashian and watermelon. Perfect combo. 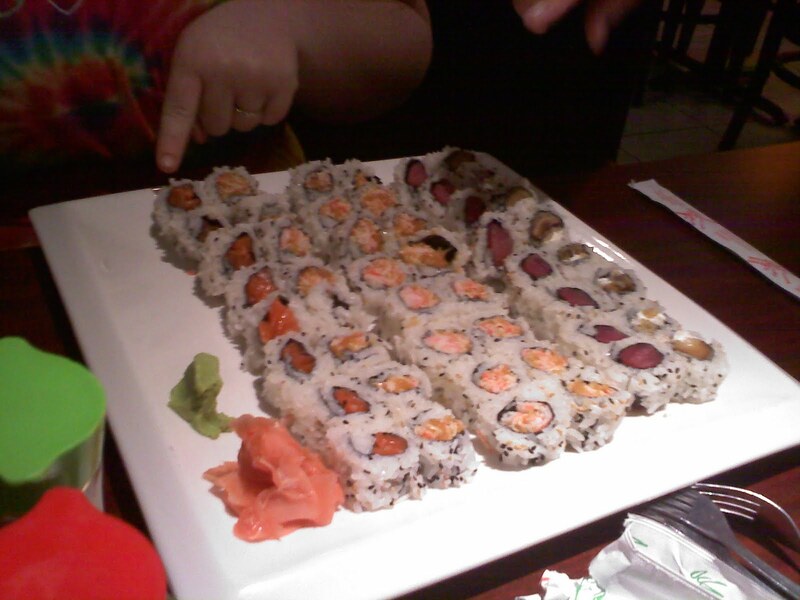 We ended the night by a quick sushi trip. I’m soooo not a sushi eater, so I stuffed my face with shrimp and rice. One of the girls just bought her first home (!!!! ), so we hung out for a while there afterwards and broke in her front porch. I led them through a short circuit of plyometrics and ab exercises. We barely accomplished anything since our abs were getting enough of a workout from laughing. Good times, good times. ﻿There is just something totally relaxing about sitting on the front porch on a hot summer night, dontcha think? Are you a sushi eater? That sushi looks awesome!! And the title of your post brought back a hilarious memory of my grandma and that country song, but it's rather inappropriate to share on the blog. i am definitely not a sushi eater but sometimes i wish i could like it. it just sounds fun to eat. haha. good job on your productivity! i could learn from you!! haha!